Random Ramblings - A Rose Is A Rose Is A Rose! I am in that state of mind where there are a score of thoughts going on in that head on my shoulders and if I could translate them into words, at least a dozen posts on the blog can see the light of the day. And at this point of time, my baby blog can do with some posts, if not a dozen. But when I sit and try to put that into action, the thoughts just seem to freeze and a blank page stares back at me. After having seen that blank page for a couple of days now, I decided to change the modus operandi and do what I do best at this space… random ramblings. So here, I go and break that jinxed blank page and frozen thoughts state. Aaryan’s back home for his summer vacation which will last just a fortnight and the home is buzzing with all the chatter and laughter. Cartoons have made an entry in our living room once again and I am trying to refresh my memory as I try to put a face to the cartoon characters from their voices while I am doing my work. And of course, the kitchen is throbbing with activity and the fridge is reeling under the pressure of being opened and closed (with a bang! ), every few minutes. And we are lovin’ it! The other day, we were walking from our cab to the bus that would take us back home. He had this big rucksack on his shoulders and he took my laptop bag from me. As I quibbled a bit over this, he said, “Ma, I insist!” and I had this amazed and a bowled over look on my face and a grin that refused to go away for a long long time. Then, a few minutes later, we had to climb a raised platform. He got up first and gave me his hand for support, just like KG. As I took his hand in mine, he pulled me up with firmness and strength that made me go all awww and mush. Time goes by so fast, it’s so hard to believe, why just yesterday he was a lil baby who held my hand with his lil fingers and today a 12 year old boy, all grown up and so responsible! I have a lot on my plate to read and review. I am tempted to post reviews almost every other day, and I have done that in the recent past. Though I am very happy to read so many books and review too, somehow, I am not liking the look of my blog which now-a-days looks like a book reviewing blog. While, I may have to post the book reviews frequently, I guess, I need to get my act together and get back to more ramblings, 55 fictions, drabbles…. Talking about books, while it is amazing that so many people are exploring their creative writing skills and are becoming published authors too. I wish if they’d focus on quality work. There’s nothing more time wasting and frustrating than trying to complete a poorly edited book. And just now, I had a chat with Kajal and we have decided to do the July Ultimate Blogging Challenge. And suddenly there is excitement in the air. Let me sign off for now and start thinking and planning for the brand new month that starts tomorrow. July, here we come!! Why don’t you join us too… the more the merrier! July challenge..hmmm….tempting but don’t know if im up for it this time! Enjoyed the random ramblings, Shilpa! You know when I was in the middle of the A-Z challenge I thought I will definitely do the July UBC, but now I am not so sure. I am liking, rather enjoying the one-or-two posts-a-week schedule that has been playing itself out on my blog lately. But there is still a few hours between now and July 1, so who knows? 🙂 All the best for the challenge. All the best for July challenge. Thanks Raj. Somehow a separate review blog does not appeal to me! My son is 15…and I know that feeling when suddenly your baby turns into a chivalrous gentleman! Its a proud moment isn’t it?! All the best for UBC, Shilpa! Will be cheering you on from the sidelines! It is nice to see you rambling once again! A month full of posts??? No thanks. I will leave that to you and Kajal. My heart just isn’t in it lately. Enjoyed your ramblings. Those personal , straight from the heart lines, are much more read worthy than a planned one. Hope you got over your blank stage with this…all the best for UBC. Your boy is indeed growing into a fine gentleman! You should pat your back as well in being able to raise such a good boy. Reviews and contest entries do make our blogs look way to commercial. But they are a part of the whole social networking thing and its fine. Post what you feel like. And these random posts are really important too. How else would we know about Aryan! 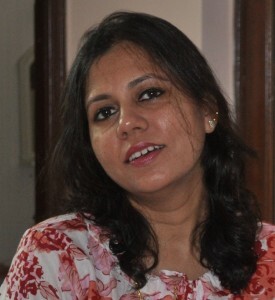 Oh, Shilpa – those blank pages – I have had them ghosting in front of me lately … Have enjoyed my blogfree days too much (just that periode I guess) … so no challenge for me … But will follow yours for sure – you will do great:-) – best of luck. It is so nice to hear that Aryan has grown into a very responsible young boy. I can see you as a proud mother.God bless him. Is this UBC challenge as tough as Ato Z ? I am wavering whether to join or not. Thank you so much for your blessings for Aaryan, Ma’am. Touched! Awwww…… that is so sweet of Aryan. I can understand what you must have gone through. God bless the young man. Continue with your book reading . your reviews inspired me to read physical books again. Wow, that’s cool. Which book did you read and how was it? Aww, you are so sweet, Pra! ♥ When are you going to get back to writing? I remember our blogging journey which started in 2009. You must get back to blogging! Waiting…. Awww!! Your little boy has indeed grown up!! That was such a sweet gesture! Ramblings…I can imaginehow good,happy and confident you must have felt when aryan held your hand to help you.. Boy is growing up,isnt it? Sigh! Boys do the most beautiful things! I love it when my boys get all protective about me too 🙂 It is a lovely feeling!